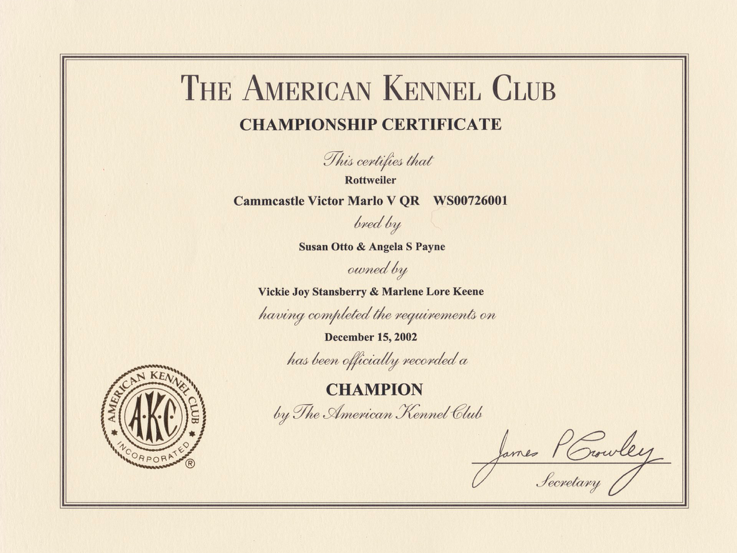 Victor earned his A.K.C. 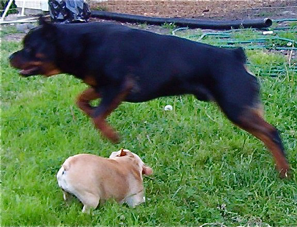 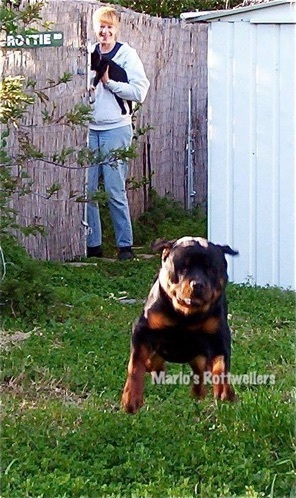 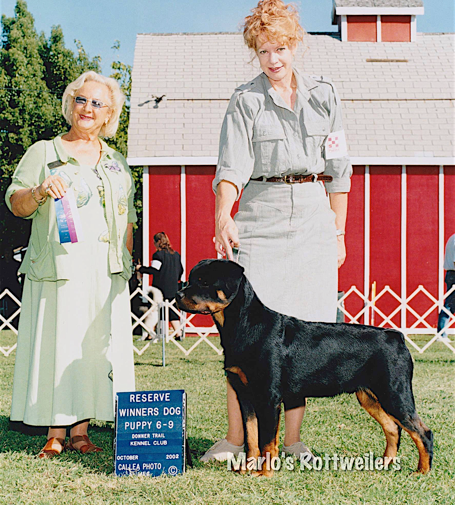 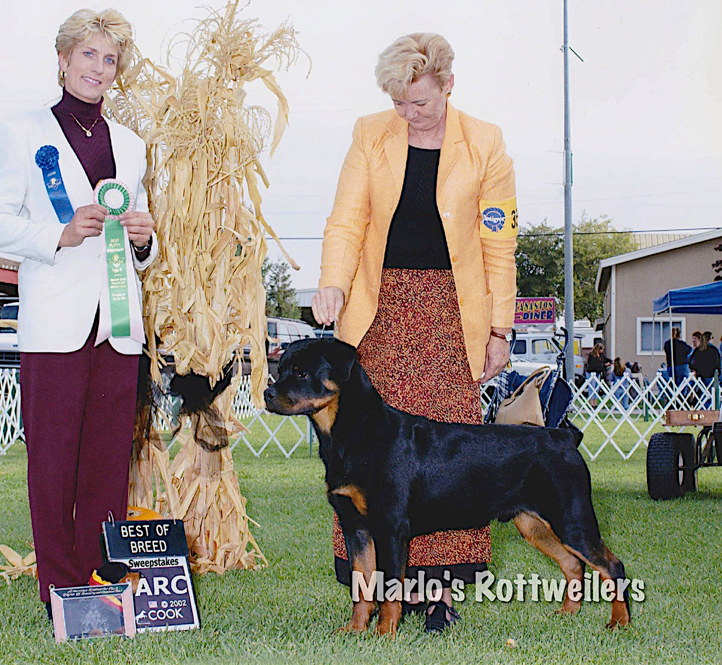 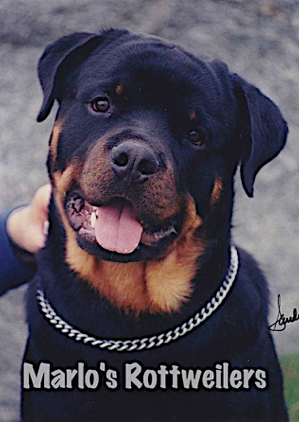 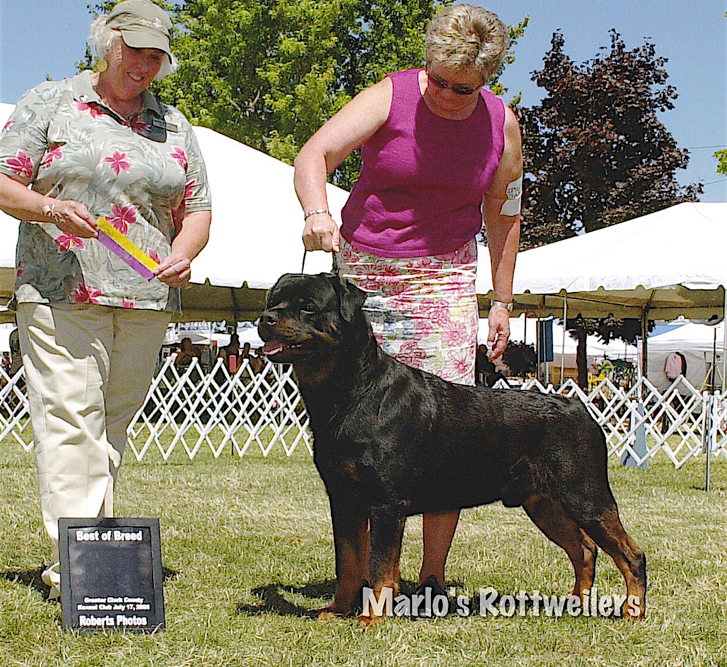 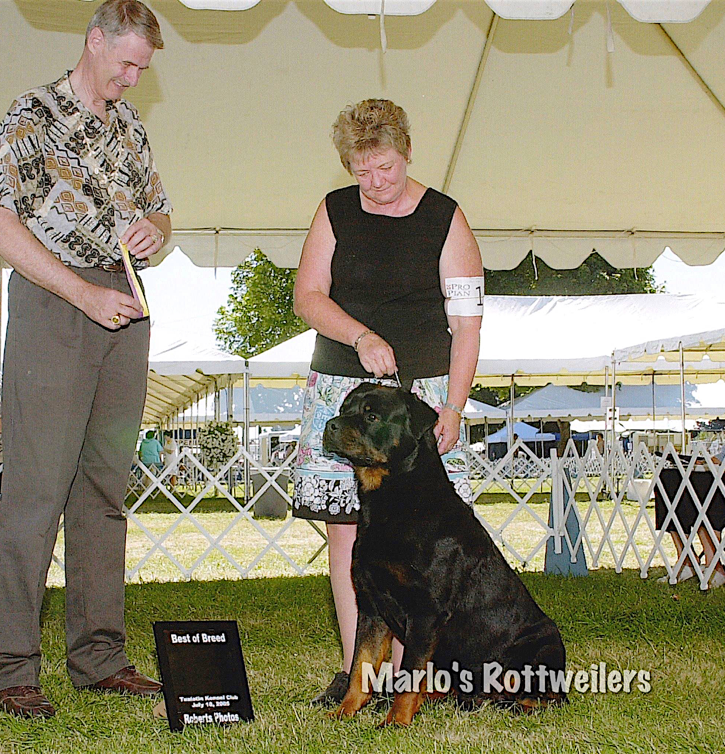 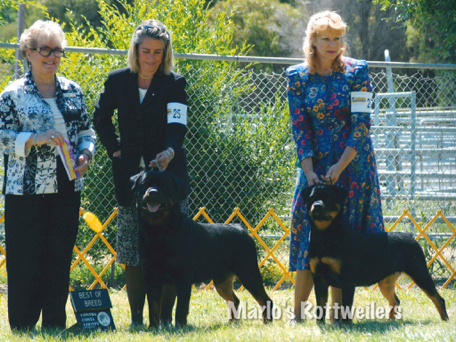 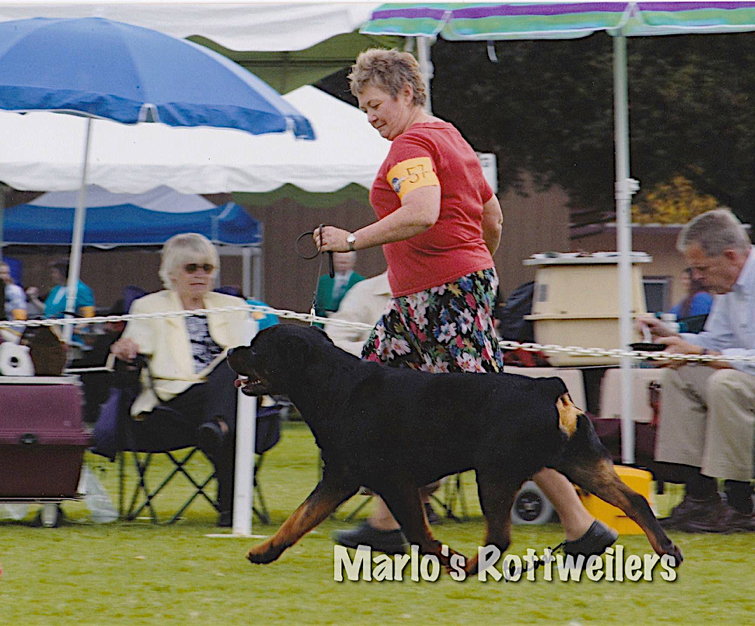 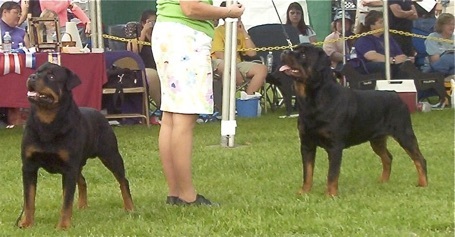 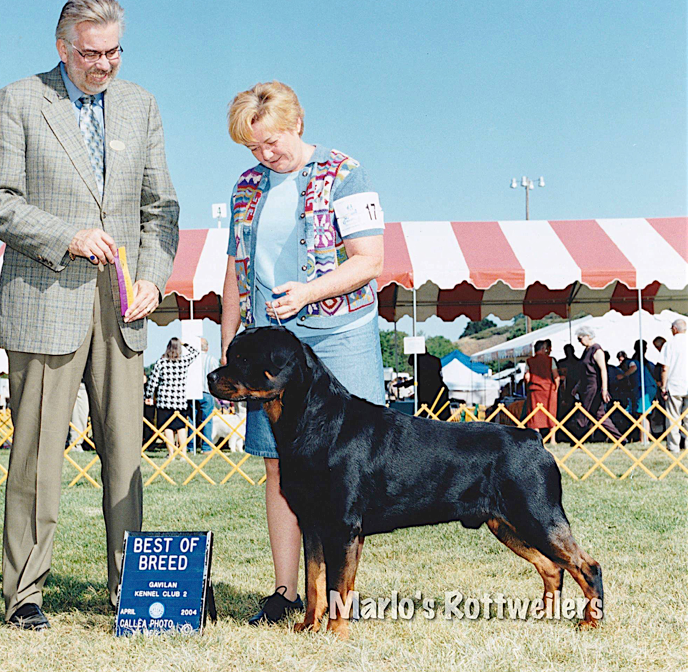 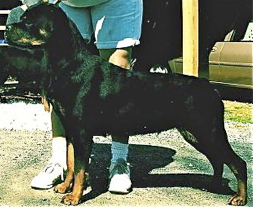 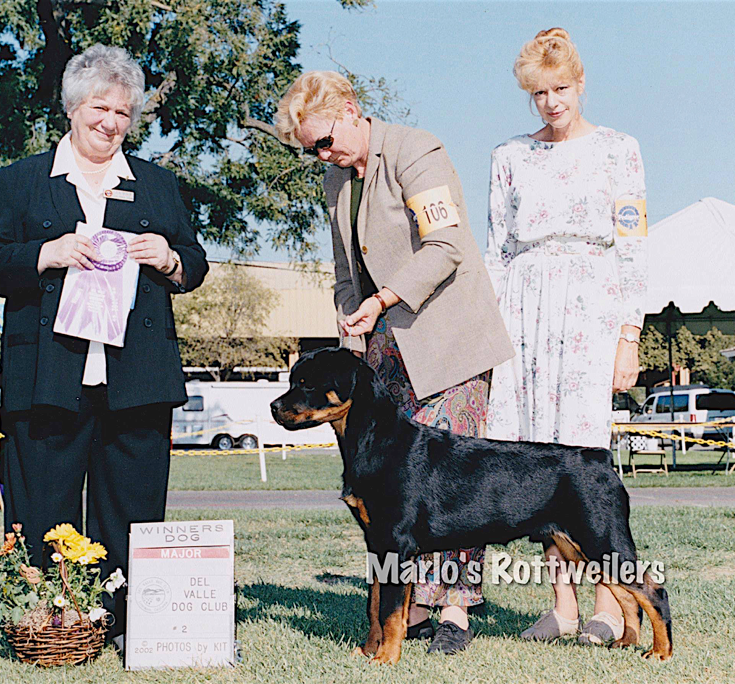 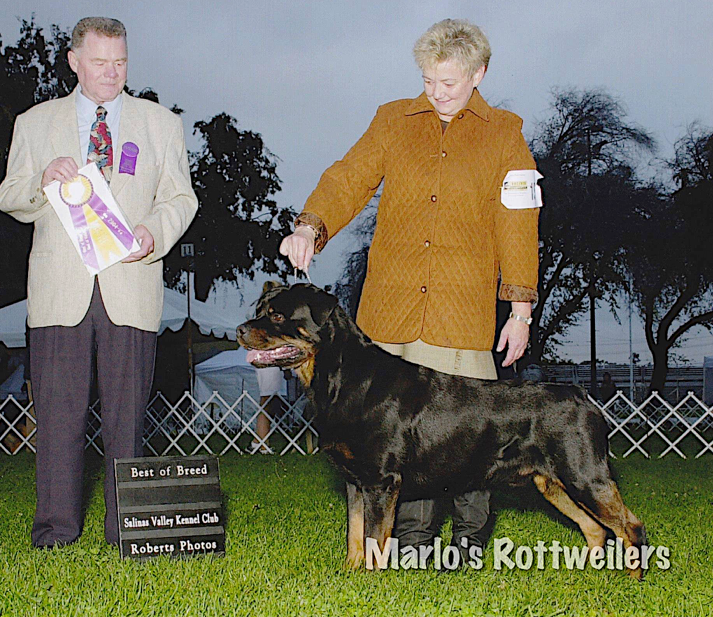 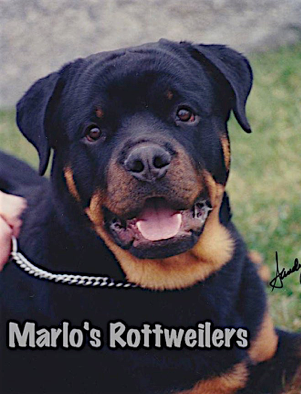 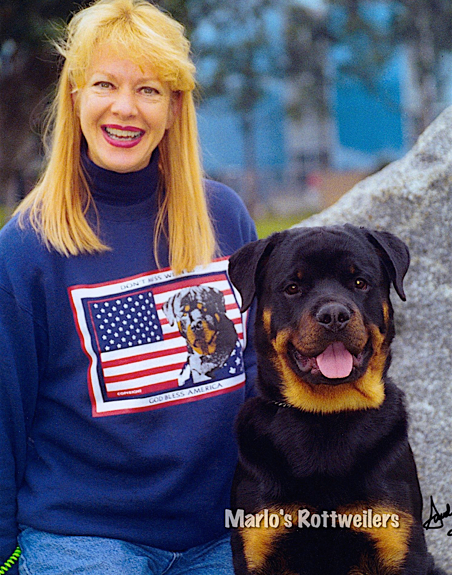 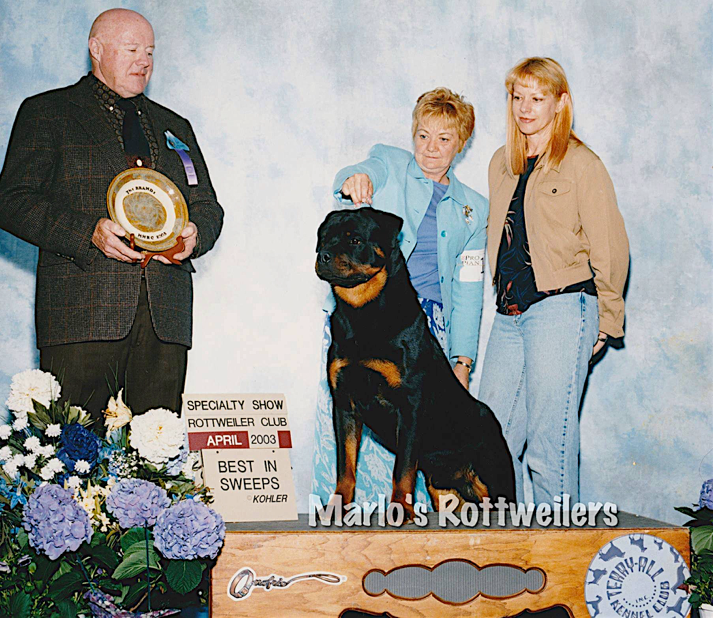 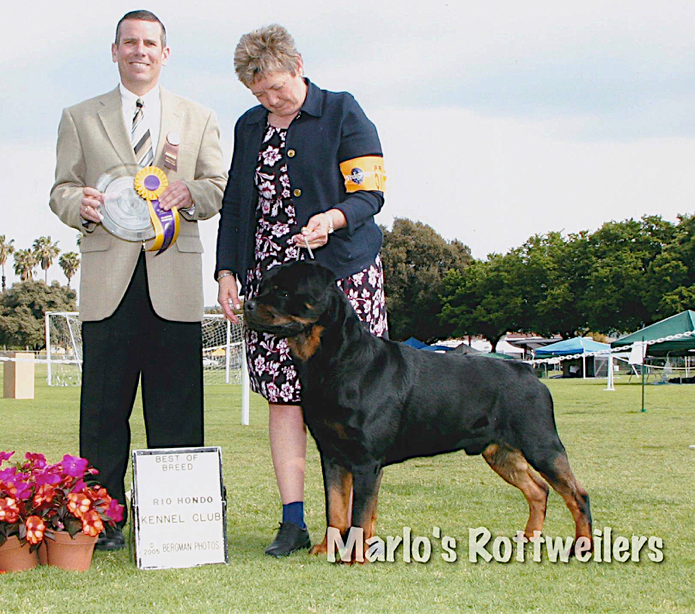 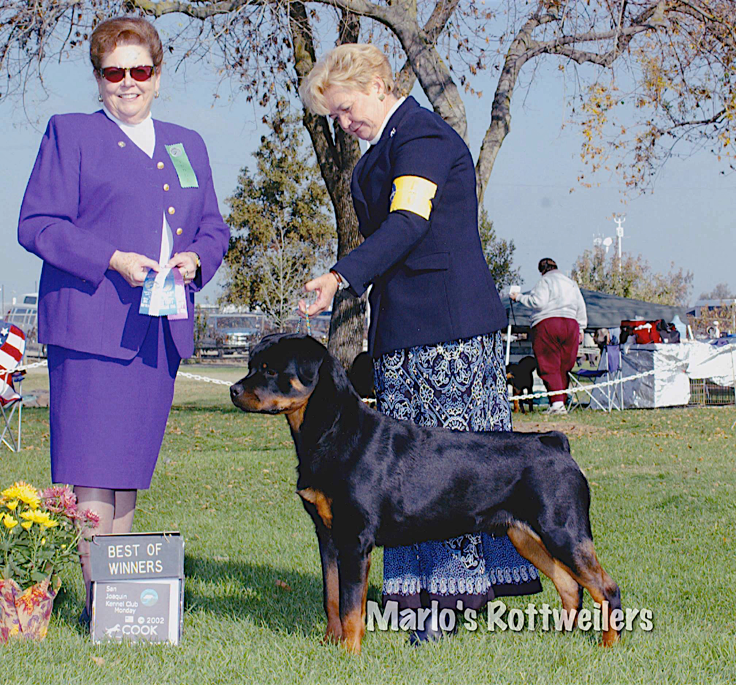 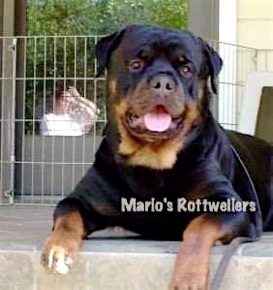 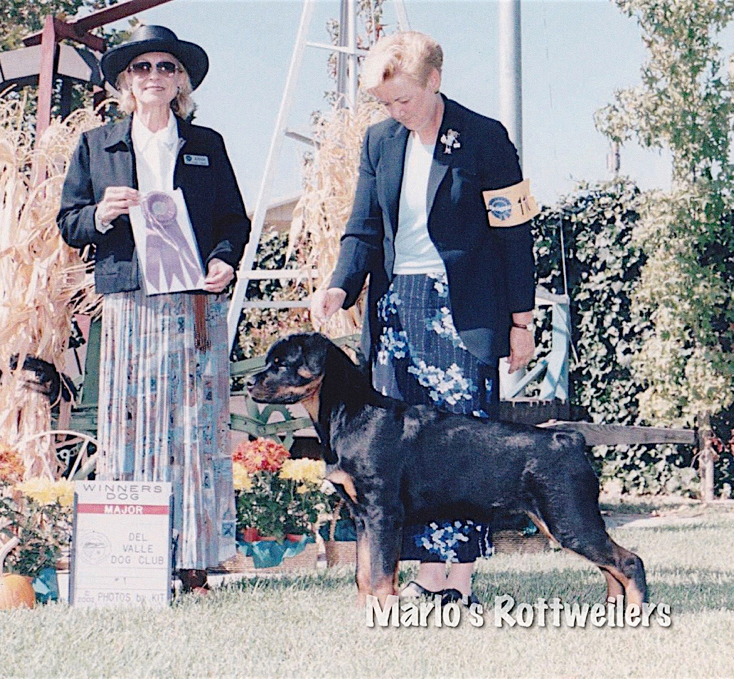 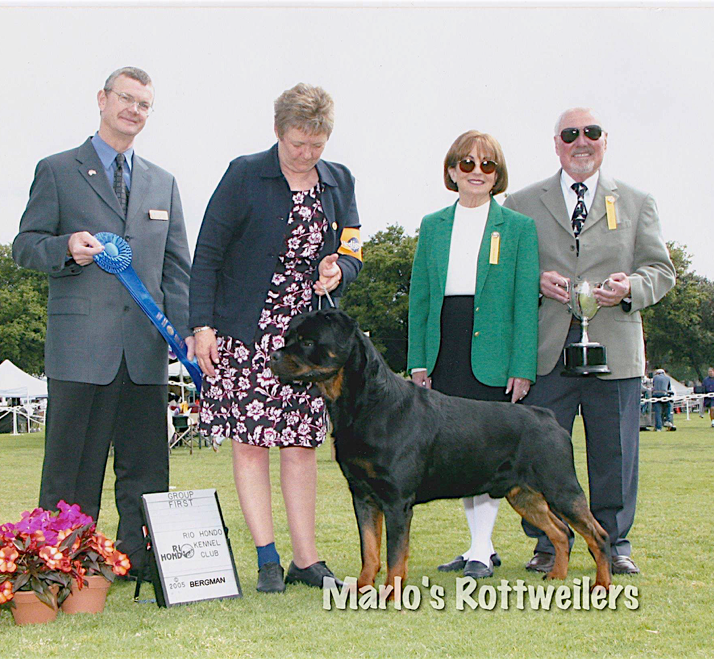 championship with four major wins from the six to nine puppy class by the tender age of eight months, which we believe to be a first for a Rottweiler. 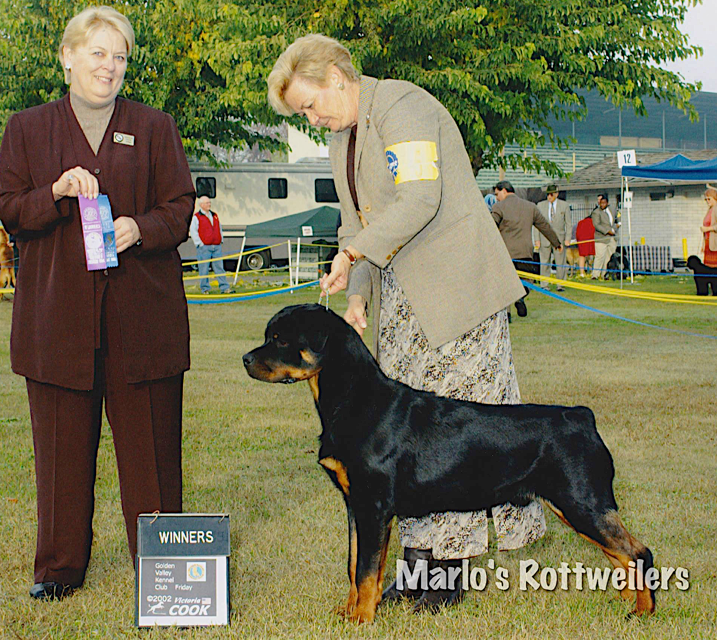 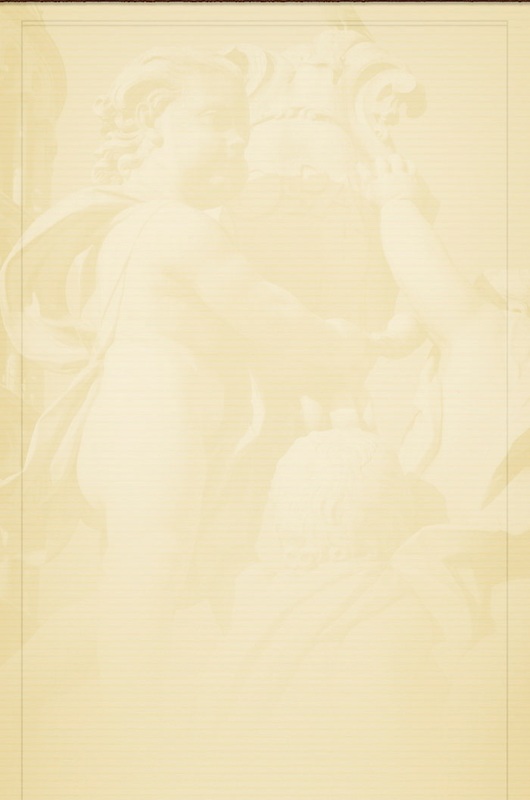 Victor proved himself a tremendous producer in his limited breedings. 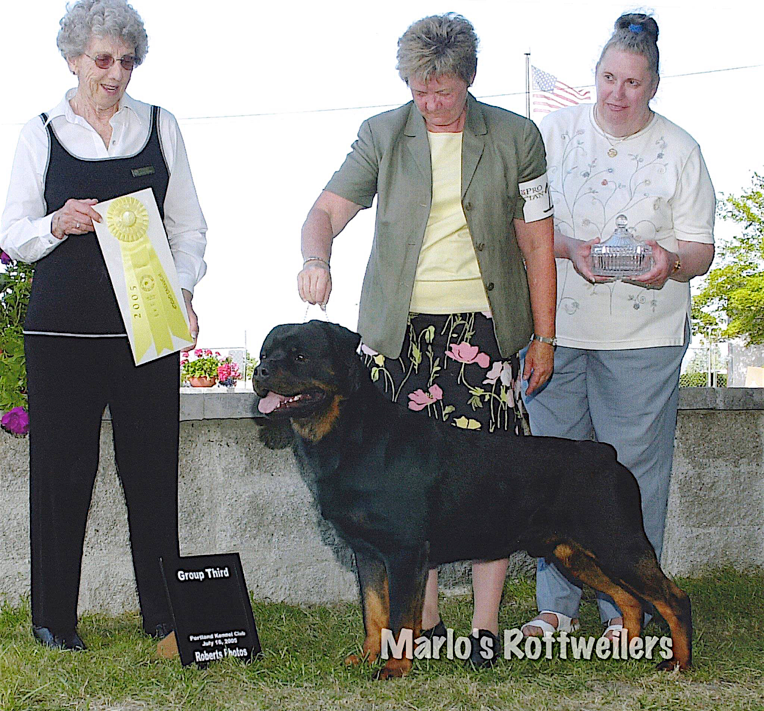 He threw his wonderful loving, stable and lively temperament and his robust and powerful build. 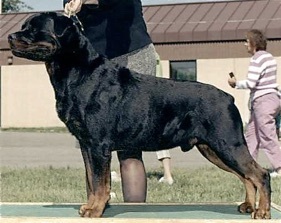 His strong breed-type is evident in his get and grand get.